Syntactics Inc. : Facebook Advertising Training - Syntactics Inc.
Our Facebook Advertising training is particularly created to provide marketers and business owners in Cagayan de Oro City the chance to be in the cutting edge of all the latest social media marketing trends, strategies, and effective Facebook advertising techniques today. Furthermore, this training is not only limited to marketers and business owners. We would also like to encourage students, online sellers, freelancers, and Facebook page managers to join this exclusive and highly beneficial activity. 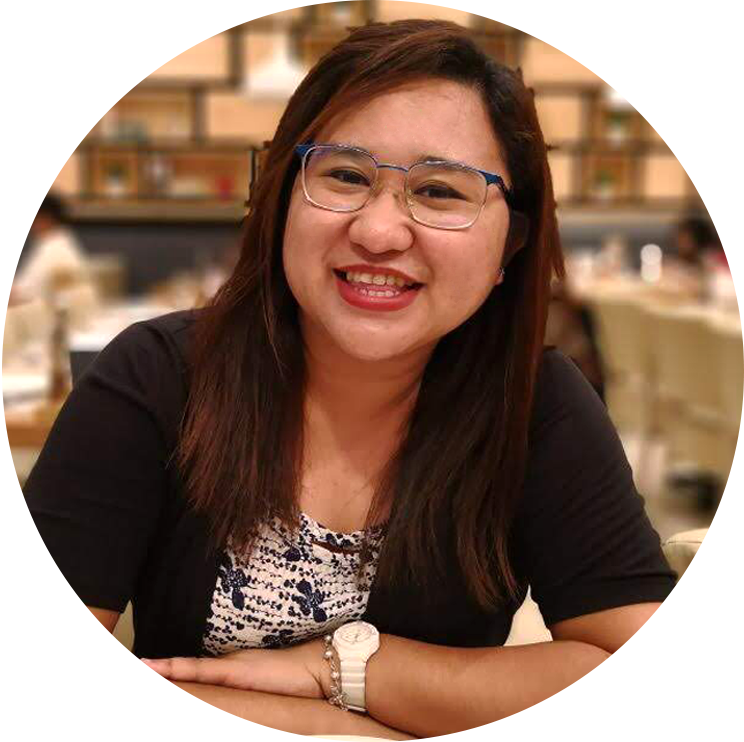 Our speaker for the Facebook Advertising Training is a young professional from Syntactics Inc. She earned her bachelor’s degree in Information Technology from STI College here in Cagayan de Oro. As a member of the Online Marketing Team since 2013, Jalou has earned both experiences and skills in the field of digital marketing. In her workplace, Jalou is well-known for her expertise when it comes to using social media platforms and effective strategies and techniques as a means of advertising. Such expertise includes using and managing a variety of tools such as Facebook Ads manager for Facebook Marketing and Google Ads. 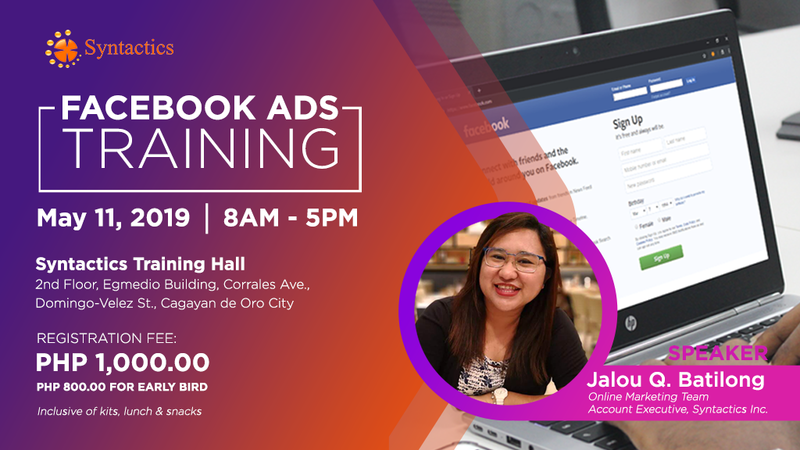 As an experienced digital marketing specialist, Jalou has also shared her knowledge on social marketing and Facebook advertising to various talks and conferences for GoNegosyo, the Department of Trade and Industry, and Real Estate brokers, among many others. She now holds the position of the company’s Account Executive for the Online Marketing Team at Syntactics Inc. Indeed, she is worthy of being called an expert in the field of Digital Marketing and has earned it through her many years of hard work and continuous learning. We only have limited slots and registration will be closed once all seats have been filled. So, hurry and reserve your spot now!